A small diamond mine in a kimberlite pipe, currently owned by DiamondCorp. The pipe forms part of a cluster of eleven intrusions, most of which have no economic diamond grades. 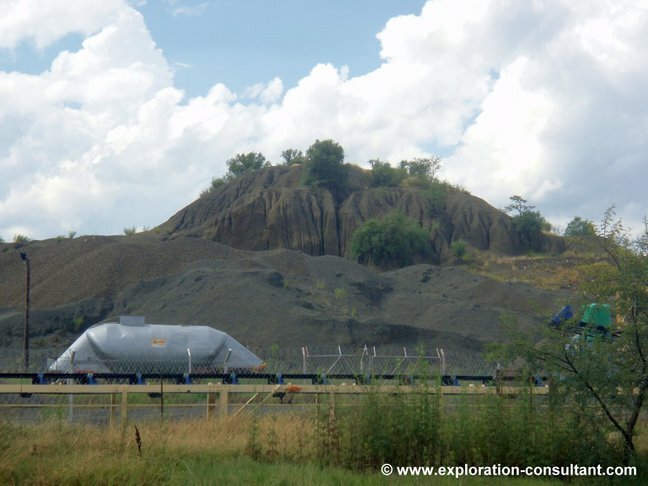 It was discovered by De Beers in 1896 and considered uneconomic. It was then taken over by the Lace Diamond Mining Company, who mined it from 1902 to 1907. In 1908, it was sold to the Crown D.M. and E. Company, who worked it until 1910, and again from 1913 to 1931. De Beers subsequently re-acquired the property, but sold it again in the late 1990s. 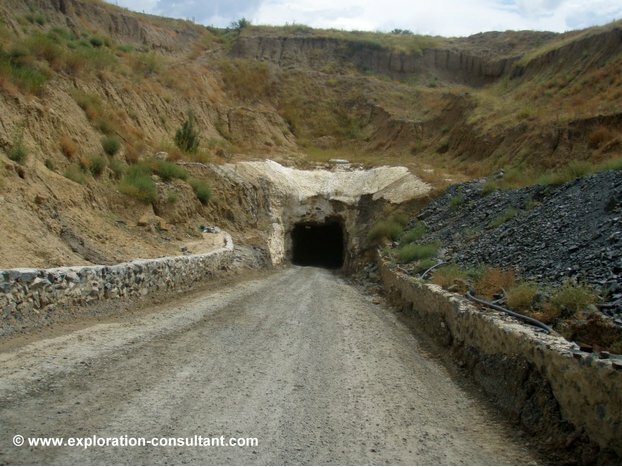 The current owner is presently considering to re-open the underground mine. Re-treatment of the dumps started in 2007. The mine produced diamonds of high quality, but due to the high percentage of inferior < 1 ct stones, the overall value was low. The largest diamond ever recovered was an 86.5 ct stone in 1930. Merensky, H. (1909). 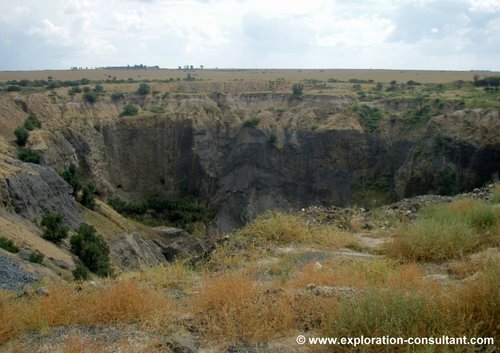 Geological observations in the Lace Diamond mine, now known as Crown Diamond mine. Transactions of the Geological Society of South Africa, 12, 203-204.